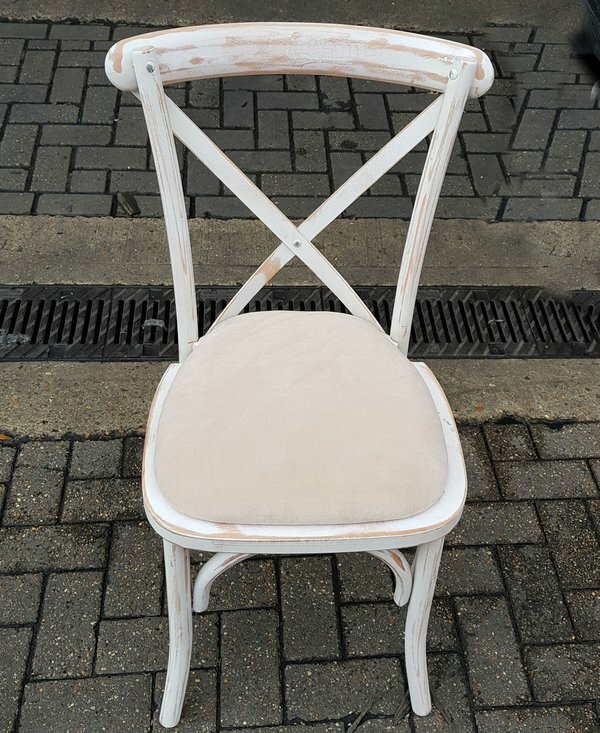 We have 130 of these rustic style chairs for the 2019 season. The chair is both elegant and stylish, making them perfect for weddings and events alike. 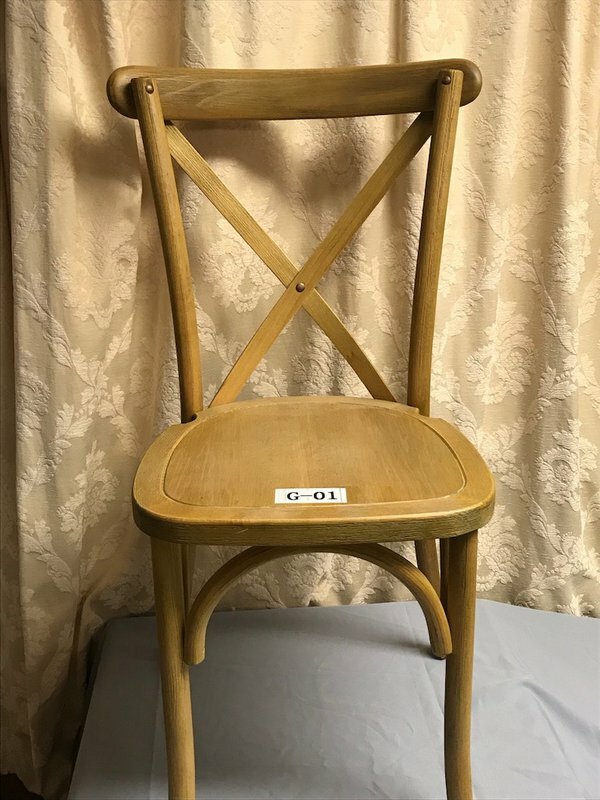 They are in high demand for the hire trade and come complete with a soft seat cushion. The cushion cover can easily be removed for washing and cleaning. Don’t miss out – get ahead of your competitors. Ideal for venues or hire companies alike. 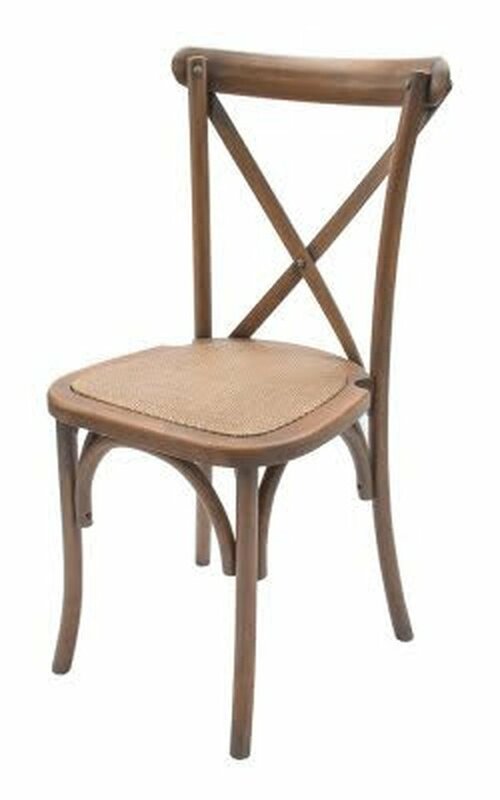 The chair's elegant and stylish looks make it perfect for weddings and events alike. 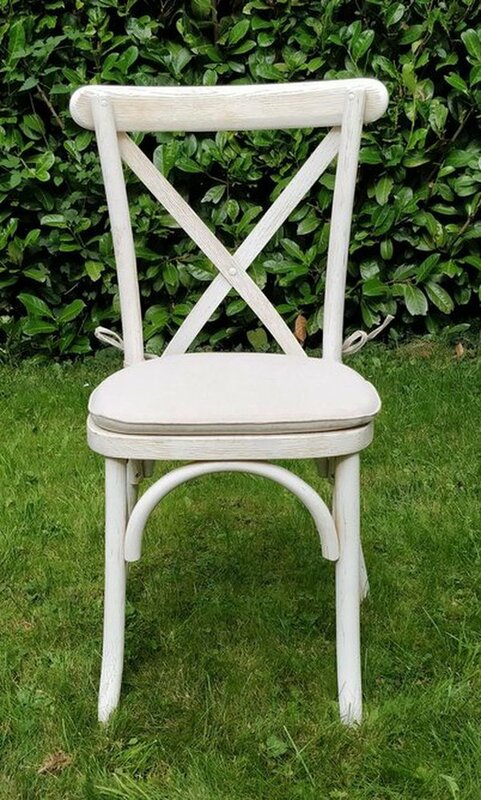 The Cross back wedding chair has a Rustic Lime Oak finish for the shabby chic look and is certain to be the choice of brides for the coming wedding season. 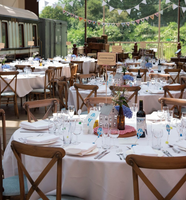 Supplied by Tiger Furniture - one of the UK's leading event & contract furniture suppliers. 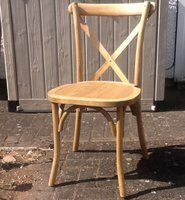 The Rustic Lime Oak Cross Back Chair comes complete with a linen seat cushion. 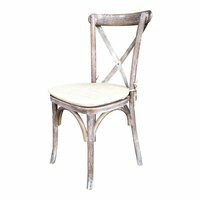 The Sofia Antique Wash Crossbacks are a very popular chair for hire companies and venues. 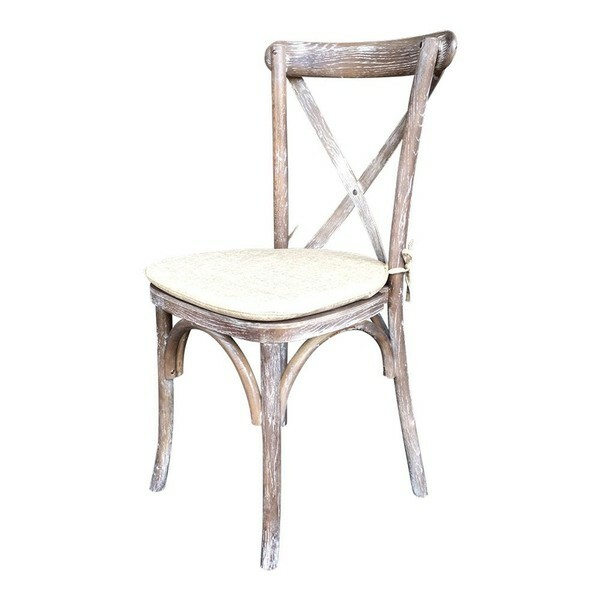 They are perfect for a rustic theme and go nicely with any furniture. 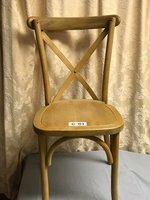 These chairs are brand new and have never been used. 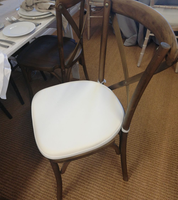 The Tipi Brown Crossback Chair is perfect for venues and hotels. They are also popular in the hire trade. The chairs are in very good condition and have never been used. They have been transported on and off-site on one occasion. 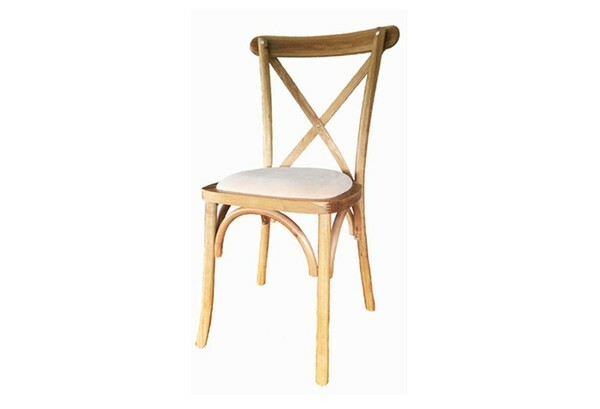 The Golden Oak Crossback chairs are a popular choice for restaurants and venues. They have been transported off and on-site on one occasion. 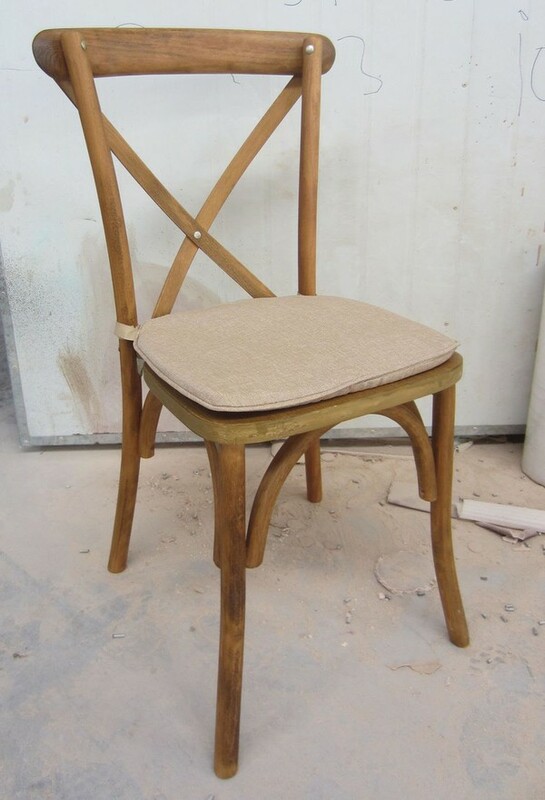 These chairs have a rustic look to them and are in popular demand for the hire trade. 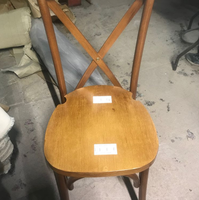 There are a few scuffs around the feet and the tops. They have been on hire once and we are selling them in order to put our stock levels back in line. 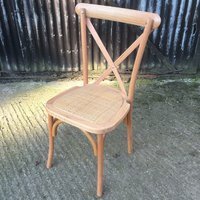 Vintage oak cross back chairs with seat cushion. New still all wrapped up. 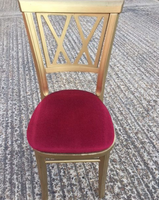 We do have some recycled banquet chairs, with a gold frame and red seat. It comes with a velcro bottom, so the red seat can be removed. 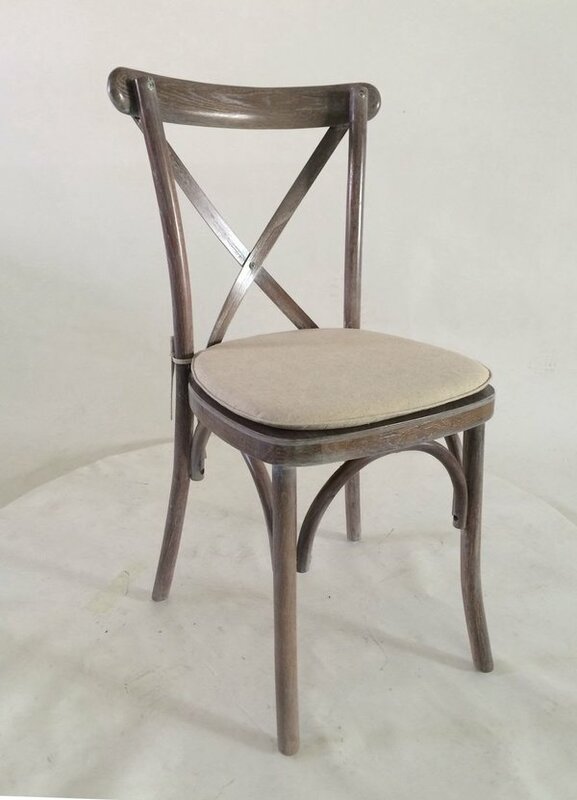 These chairs are also stackable, Ideal for weddings, and all other social events. 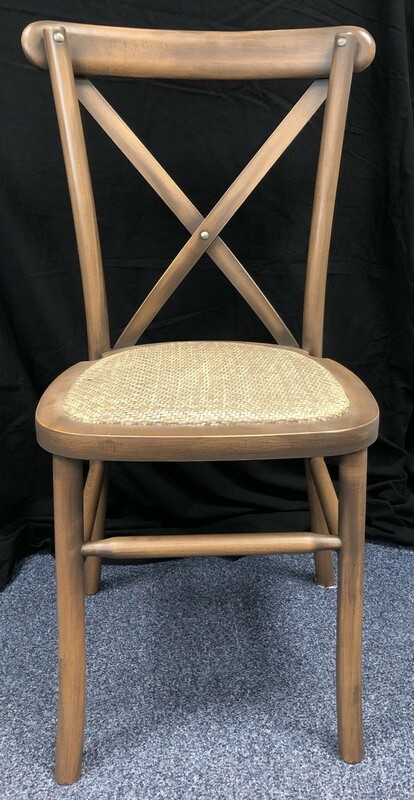 Sold 200x Cross Back Rustic Wedding Chairs - Lime Oak - Brand New - Warehouse Clearance!!! 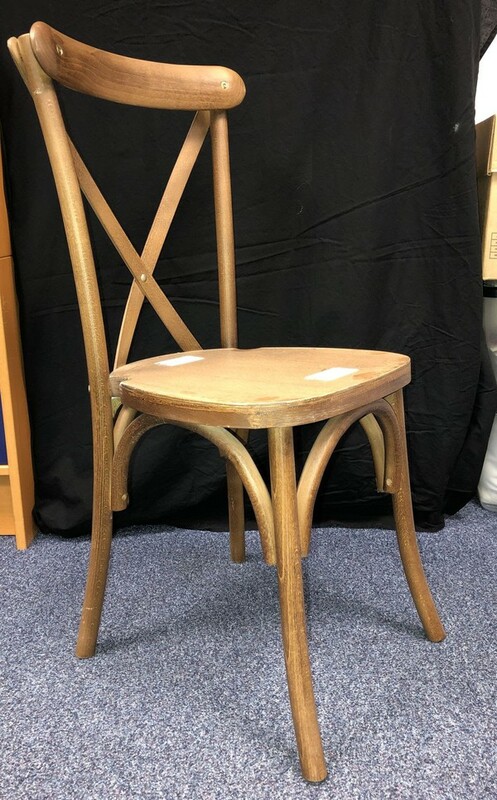 200x Cross Back Rustic Wedding Chairs - Lime Oak - Brand New - Warehouse Clearance!!! 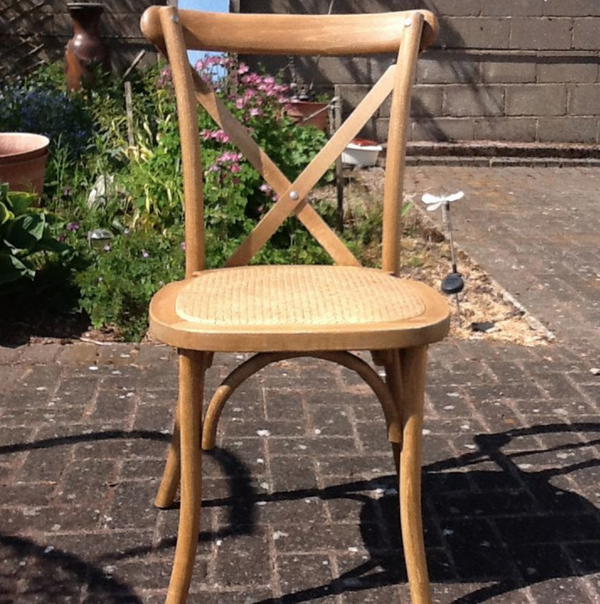 Vintage oak cross back chair with tie on seat cushion. Very good quality will stack 10 high new still wrapped up. 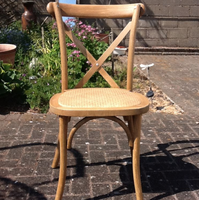 We also use these to hire out and have proved a good strong popular chair. 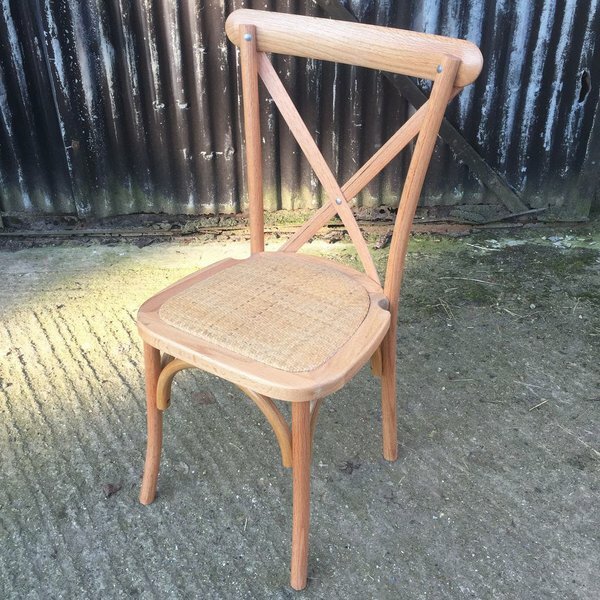 Light oak cross back chairs with rattan seat pad. 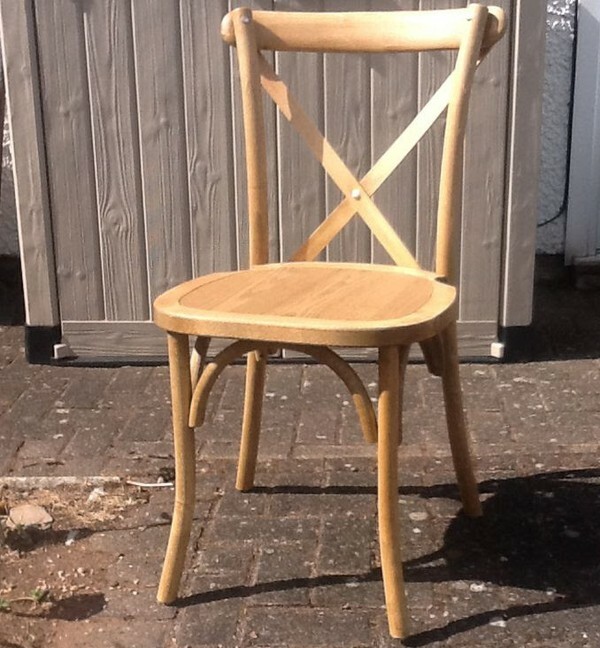 Made from European Beach wood. 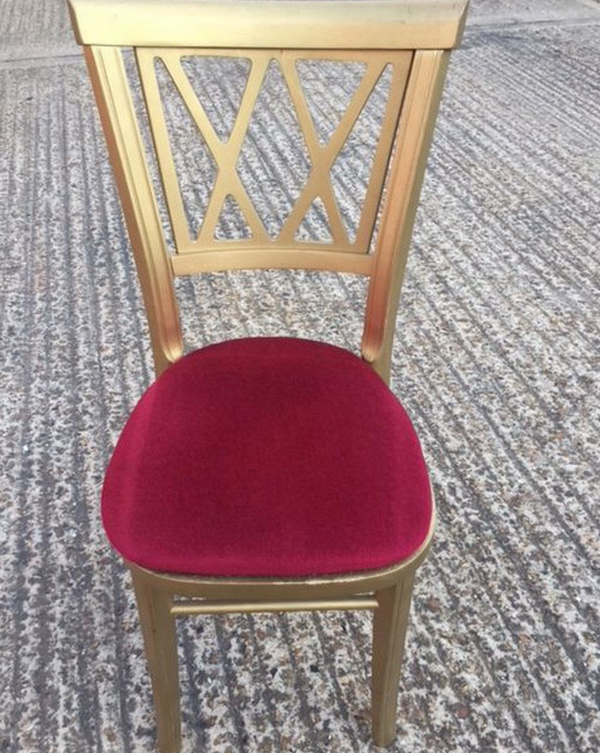 These chairs are the perfect chair for any venue marquee or ti-pi.